And so our obsession for Wolf Alice continues. Only a couple of weeks ago we reviewed a new track, Moaning Lisa Smile, which is lifted from Wolf Alice’s upcoming 4-song EP Creature Songs, produced by Catherine Marks (Howling Bells, Foals) and recorded at ICP studios in Belgium. Now, we’re stoked to share a second track from the EP entitled Storms. As we mentioned in our review of Moaning Lisa Smile, Wolf Alice thus have have showcased two distinct styles and moods: the graceful and gorgeous (White Leather and Bros) and balls-to-the-wall rawk (Fluffy and She). Moaning Lisa Smile was the heaviest and most snarling we’ve heard the quartet to date and Storms continues the aural assault. Without warning, Storms begins with a bang. Detuned, face-melting guitars, rumbling, distorted bass, and a cascade of cymbals combine, before easing down to allow Ellie Rowsell’s graceful vocal melodies to temporarily soothe the ears. Thanks to the double-tracked vocal effect, there’s also a shoegazey dreaminess to Storms, all in all not unlike the thrills of The Joy Formidable. But it’s all about the absolutely monstrous chorus! With the heaviness of the guitars and repetition of “your friends, your friends, your friends” for the chorus, you can just see fists in the air and bodies flailing about. And just when you think it couldn’t get heavier, along comes the bridge, which somehow takes things up a notch further. 2014 has already seen Wolf Alice named one of iTunes’ ‘Artists For 2014′ as well as being touted by the likes of NME (Young Britannia – Future Of British Music), XFM (Great X-pectations) and Hype Machine (Ones To Watch) as one of the hottest prospects of the year ahead. 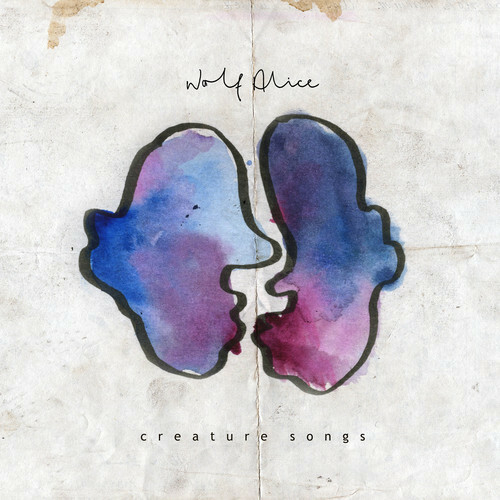 The Creature Songs EP will be released on 26 May, 2014. Pre-order via iTunes now.